It’s been a raucous year for American “Politics”. Or maybe we’re better off just calling it “Political Theater” in the era of Trump. Every single day there is a new outrage, a new something to be mad about, scared of, or perpetually annoyed. Seriously, I get it… 2017 has been a traumatic experience for us all. The Senate tax bill is really a health care bill with major implications for more than 100 million Americans who rely on the federal government for their health insurance. The bill reaches into every major American health care program: Medicaid, Medicare, and the Obamacare marketplaces. These are expected outcomes based on two significant policy changes in the bill. First, the bill repeals the individual mandate, a key piece of Obamacare that requires most Americans get covered. Economists expect its elimination to reduce enrollment in both the Affordable Care Act’s private marketplaces and Medicaid by millions. The money saved will be pumped into tax cuts for the very wealthy. The tax bill would add an estimated $1.5 trillion to the deficit over a decade. Congressional “pay-as-you-go” rules, called pay-go, require that the White House Office of Management and Budget (OMB) automatically cut mandatory spending if legislation increases the deficit beyond a certain point. Medicare can only be cut by a maximum of 4 percent through the pay-go rules, however, which amounts to $25 billion in cuts. And of course the cuts to critical healthcare services are just one side of the sequester. Across-the-board cuts would likely devastate funding for education, infrastructure, the arts and a whole host government programs. 2009 and 2010 may seem like a lifetime ago, but it was basically the last time a singular piece of legislation this significant was passed in Congress. While FAR from a perfect process, the Affordable Care Act was debated for months, Congress members held town halls with constituents, the President gave a Prime Time speech to inform Americans of what was going on (sadly best remembered by the “You Lie” incident), and Republican members at the time had well over a year to scrutinize the legislation being shepherded by Democrats. 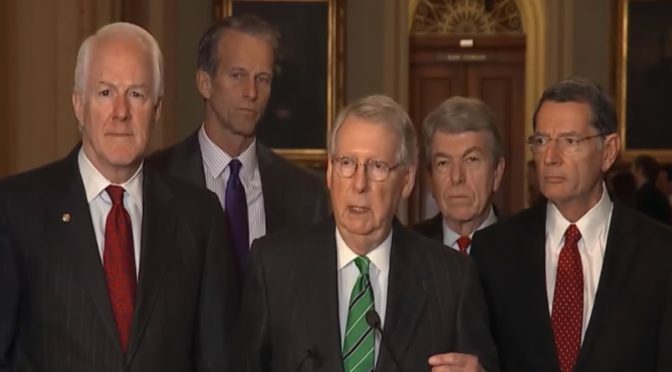 Remember when Senate Majority Leader Mitch McConnell himself lambasted Democrats for “jamming this massive health spending bill [the ACA] through Congress against the clear wishes of an unsuspecting public”? Yet in 2017, he and Republicans appear to be doing much worse, with an omnibus bill that could affect not only the healthcare system, but every corner of the American government. While it is certainly up for debate whether some of these worst-case scenarios could materialize, what is absolutely clear is that the entire process for this massive legislation is being done in the dark. The only reason for such a ridiculous rush-job? Because if the American People knew the many dangers being debated right now, they would not support this bill (Not sure about you, but I am struggling to think of any actual “fiscal Conservatives” that would support adding $1 Trillion dollars to the deficit). So yes, many of us may be traumatized by the President’s antics. But with a precious few days left until the next election year, Congress is done delaying, and now racing towards a huge disaster of a bill. Even for those who may support “tax reform” or “tax cuts” in theory, Tell YOUR elected officials that you do not support any massive legislation without multiple hearings and a fair, open process that is presented to the public. If this disaster of a bill goes through, Republicans should fully expect a disaster at the ballot box next November. Home to an estimated 4.4 million people, there’s not too much that is small about Harris County, Texas. 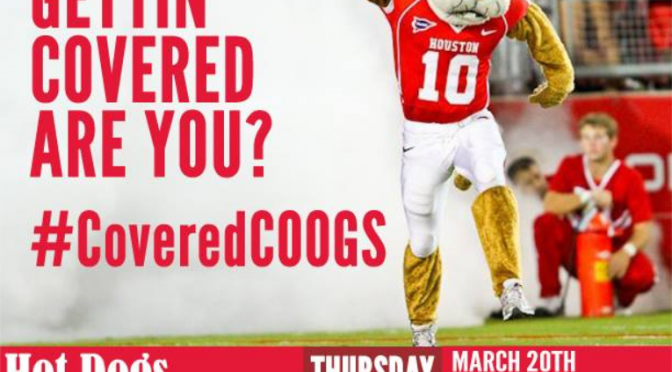 It is the 3rd-largest county in the United States of America, and of course is the home for most of the city of Houston. Facing an expected budget shortfall of $71.8 million, Harris Health System is in the midst of laying off about 113 employees, an agency spokesman confirmed Tuesday. A number of vacant positions where employees have already left won’t be filled, bringing the total to 261. Harris Health, formerly known as the Harris County Hospital district, is the county’s primary public health service agency serving low-income people. It employs 8,237 workers. 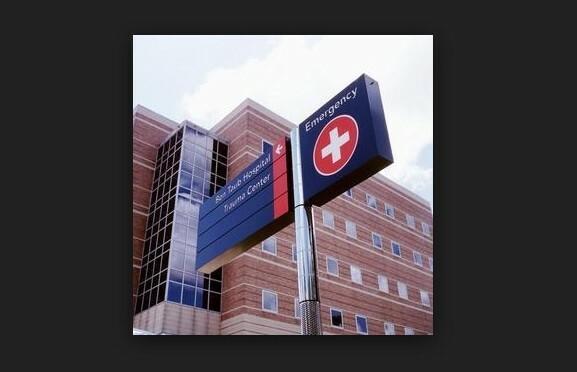 Harris Health officials have blamed the deficit on several factors, chief among them the state’s decision not to opt for expanded Medicaid from the federal government. They also cite decreased payments to the agency from other federal programs. Expanded Medicaid would have offset those cuts. Harris Health says it has expanded its services in recent years in response to growing demand. The board is scheduled to meet Thursday to consider proposals to offset the $71.8 shortfall and possibly to tentatively adopt a budget. At last week’s meeting, the members discussed the possibility of approving a budget with a $11.8 million shortfall, to preserve as many of the threatened patient services as possible. Harris Health officials state that this round of lay-offs “will not result in a cut in services”, which is hard to believe at this point. And even if that is the case, what happens when the next round of cuts come through?? These people do not have to lose their jobs at all, as legislators in Austin have it in their power to accept the Medicaid Expansion, or come up with a unique Texas solution right now. But thanks to their selfishness, real Texans are paying real consequences. As smart Republican leaders like Harris County Judge Ed Emmett already know, it is anything BUT Conservative to be letting go of health professionals in a place growing as rapidly as Harris County. It’s time to drop the political games around the ACA and do what’s best for Texas. These may be the first round of area layoffs due to the state’s refusal to expand Medicaid, but they likely will not be the last. If you ever cared about this issue enough to write your lawmakers in Austin, now is the time to do it. Perhaps this isn’t the post title that one expects to see on a left-leaning blog, but just bear with me. 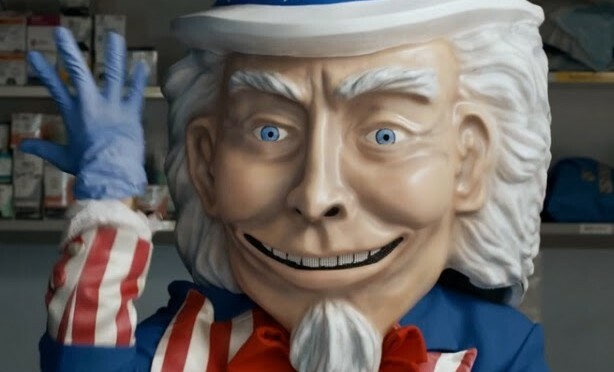 When suggesting that we kill Obamacare, it is not suggesting that the law and new practices be actually killed, like some of the theories Conservative writer George Will has put forward. He thinks the Affordable Care Act can be struck down arguing that it is unconstitutional, but this is simply inaccurate. Though it’s true that the law originated in the Senate, and it definitely incorporates monetary elements, those do not describe the crux of the legislation. The purpose of the ACA is not to raise revenue, but to facilitate the ability for more Americans to have health insurance. Though taxes share many commonalities with penalties, they are fundamentally different. A tax is something that is owed under any circumstance… everyone pays taxes simply because they are citizens. But a penalty is only paid when someone doesn’t comply with an existing law. Jim gets a traffic ticket for running a red light, but Suzy stops at the light. Was Jim taxed because he operates a vehicle?? No… he was issued a fine. Suzy complied with traffic laws, and because she did this, she was not fined. If George Will or anyone else tries to assert this argument that the ACA can be struck down, politely remind them of the difference between taxes and penalties. It’s constitutional… deal with it. But even with the law being constitutional, here’s why we should kill Obamacare. Poll after poll suggests that while Americans typically agree with provisions of the ACA, they still don’t like Obamacare. If you’re someone that follows politics on a regular basis, then the conflict here is blatantly obvious… the Affordable Care Act is Obamacare… we’re talking about the same thing!! Just remember that the majority of Americans could tell you much more about Real Housewives than they could about the Houses of Congress. Even after 4 years of wrangling, there are some genuinely intelligent people that still have no clue how the health insurance market has changed. But thanks to an effective messaging blitz by the GOP, they do know that they don’t “like” the word “Obamacare”. Here’s the big secret folks… before the ACA was signed into law, we had a wide array of health insurance options. Today, more than 6 months after its full implementation, we still have a wide array of health insurance options. 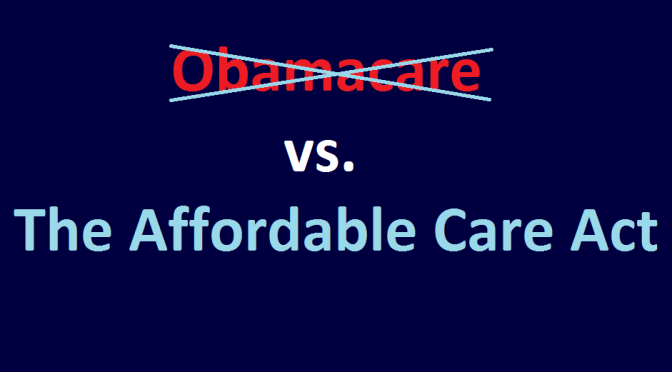 Despite the many lies that are out there, Obamacare isn’t some scary big government program. It’s just a law that looked at our country’s health insurance market, determined what works and what doesn’t, and set some ground rules so companies would offer better plans to more people. Obamacare is all politics. But the policy of the Affordable Care Act is what’s changing people’s lives. That’s what the Left needs to be talking about. Let people know that the ACA made insurance more affordable, easier to obtain and much easier to understand. Give voters examples of how health insurance can improve their lives and take away the fear of the uncertain. Instead of trying to sell negative terminology, let’s discuss why the insurance market of today is better than when Obama took office. Long after President Obama’s term ends, the only ones that will remember the term Obamacare will be those reading politics and history books. Democrats can’t win the messaging war on this one, but they can stand by their record of having helped over 8 million people find more affordable healthcare. It’s time to evolve past the politics debate, and let people know about the real policy and its real results. 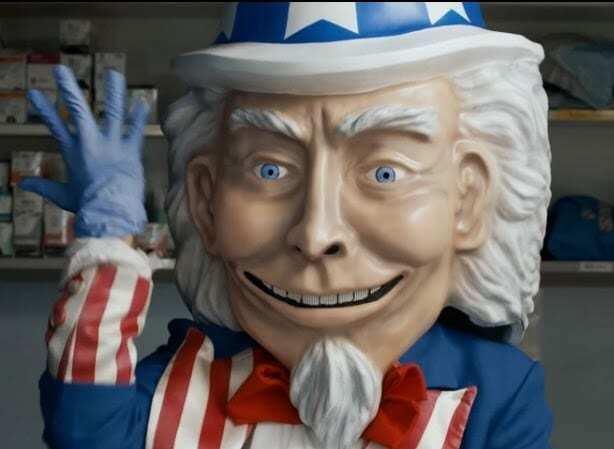 “In an interview with WebMD, Obama said the fact that 4.2 million people have already signed up for plans under federal and state marketplaces mean enough companies will be invested to stay in the system. “March is the last month to sign up for new affordable health coverage under the new healthcare law. Have questions? Join student organizations: NAACP UH Chapter, Texas Freedom Network Student Chapter at UH, VOX UH: Voices for Planned Parenthood, Student Feminist Organization at UH, and Global at UH for music, food and fun this Thursday, March 20 from 11:30am-2pm at the University of Houston Lynn Eusan Park and learn more about your options. It will be interesting to see if any of the last-minute outreach yields a significant result. In any case, getting the word out certainly can’t hurt. BREAKING: Arkansas ‘Private Option’ Is Safe!! The state House of Representatives has passed funding to continue Arkansas’s private option Medicaid expansion, approving the bill after four attempts last month came up short. The House voted 76-24 Tuesday in favor of the Senate version, which passed on its first try last month. It will next go to Gov. Mike Beebe. It was the fifth vote for the private option bill in the House. No previous attempt got more than 72 votes. Beebe said he was “obviously” pleased by the vote, which he said should have been an easier process than when legislators narrowly approved the private option last year. This time around, they had approval of the program from the federal government and a host of tax cuts passed based on its savings, he said. “If anything, it was even more compelling this time to do it than it was last time — not to mention the fact you’d be throwing 100,000 people off healthcare” if it didn’t pass, he said. House Speaker Davy Carter, R-Cabot, who expressed optimism the bill would ultimately pass even as it fell short in previous attempts, applauded legislators for the passage. The vote came after several speeches on the floor for and against the bill. Rep. Kim Hammer, R-Benton, announced he would vote for the bill after previously opposing it. Hammer — who joined Reps. Les “Skip” Carnine and Mary Lou Slinkard in switching to yes votes — said he had not “betrayed” opponents of the bill and would not shy from voting against it next year if the program is not successful. Kudos to Governor Beebe and House Speaker Davy Carter on what has surely been a difficult fight. 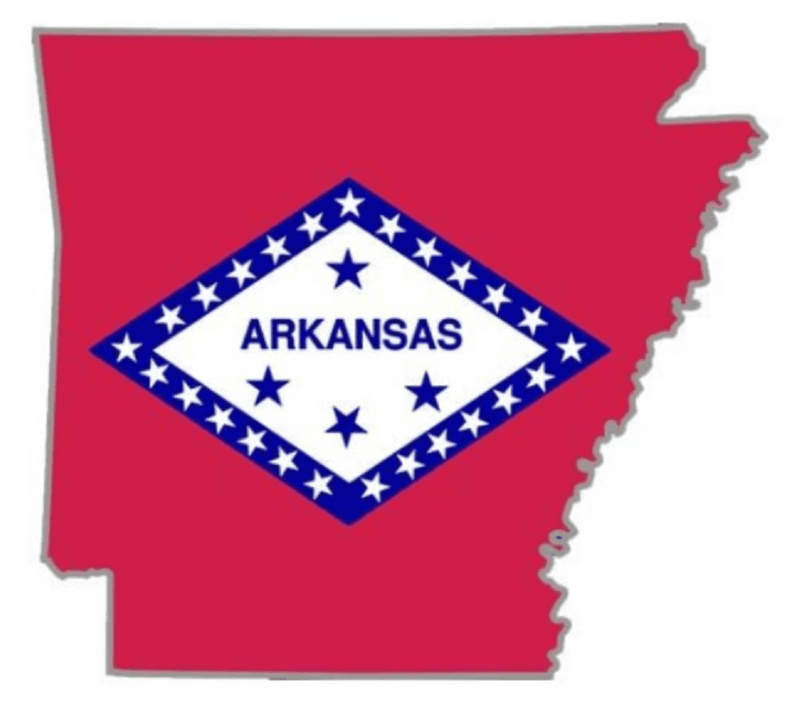 On a personal note… my mother, stepfather and several of my friends and family are constituents of Representative Kim Hammer in Benton, Arkansas. Besides sending several tweets that mentioned Mr. Hammer, I spoke to a few family members that are his constituents (some of them directly affected if the Private Option was dropped) and asked them to call him regarding his vote. Whose to say if their actions had a direct impact on his decision, but from his answer here, it sounds like he changed his vote because constituents reached out to him and voiced their concerns. It just goes to show you that sometimes communicating with lawmakers really can make all the difference. Now that the inner political drama is done, let’s hope that other states (like the one to the immediate south and west, perhaps) will take a second look at the ‘Private Option’ as a possible solution to their growing healthcare challenges. Aides to Dallas Rep. Jeb Hensarling’s office recently said that he would gladly help any constituent having trouble enrolling in a health plan under the Affordable Care Act. The next morning, Hensarling joined other House Republicans in voting for the 41st time to repeal the law. That illustrates how Texas Republicans are in the position of helping constituents with a program they are simultaneously attempting to derail as the next major step of Obamacare is drawing near. Texas Republicans in Congress universally oppose the new health care law. But a sampling found none who said they would turn away constituents with problems accessing its benefits. Rep. Michael Burgess, R-Lewisville, calls the law “bad for America” and contends it has the potential to destroy the economy. But he’s kept his staff in touch with the Department of Health and Human Services. And Burgess arranged a meeting with the Center for Medicare & Medicaid Services after he felt he wasn’t getting as much information as he needed. “I’ll share with anyone who calls the information I have,” Burgess said. Even Sen. Ted Cruz, a leader in efforts to strip funding for implementation of the law, promised to help Texans participate if they call. — guaranteed coverage for all children with pre-existing conditions. — the right to appeal a health care claim that is denied. — extension for young adults to stay on their parent’s plan until age 26. That includes anyone that is married or not even living with parents. — the eradication of lifetime limits. That means if you get sick with an expensive disease, your insurance company can’t drop you once health care expenses pass a certain point. And a whole lot more. With 20 states already participating in the ACA Medicaid Expansion, millions of Americans now have access to affordable care that they previously did not have available. All of these changes are part of Obamacare. So when the GOP runs around and says they want to repeal it, what they really want to do is take away your right to appeal, stop covering children with pre-existing conditions restore lifetime limits on coverage, and yank Medicaid coverage for the millions that received it under the expansion. They are also betting on you not being able to read, talk to someone about the law, and discover for yourself why so many of these changes are important. This is what they are threatening a government shut-down for… to ruin people’s lives who are already benefitting from Obamacare. Which is what is so laughable about this article… the audacity of them to proclaim how horrible the Affordable Care Act is, but then to simultaneously be a valuable government resource on the law for their constituents? Do they know that by pledging to “help” their constituents enroll and navigate the exchanges, they are actually making the law even more impossible to dismantle than it already is? Senator Ted Cruz is correct on one point… he and his offices do in fact represent all 26 million Texans in the United States Senate, and some of those 26 million Texans will enroll using the Healthcare Exchange. The same goes for Senator Cornyn, Congressman Ted Poe, and all the other 35 Congressional Representatives. But on this issue, the Republicans are not representing Texas very well. As my former choir director says, “At any point in time, you can only be doing one of two things… helping or hurting. You can’t do both at the same time.” Despite what they may say to reporters, the Texas GOP is squarely in the HURTING column on Obamacare, and the general welfare of the people they serve. 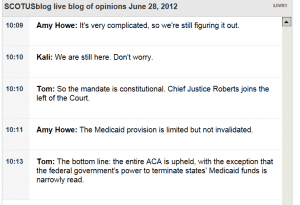 They continue to lie and misinform Texans about the provisions of the existing law, and new provisions coming up. Rather than helping constituents to understand the law and it’s wide-range of changes, they skip all substantive information, and instead champion creepy ads like the one from Koch Brothers’ spawn Generation Opportunity. So please, whatever you do, don’t believe the GOP when they say they’re going to “help” constituents with any part of the Affordable Care Act. The only things they want to help are their political careers. 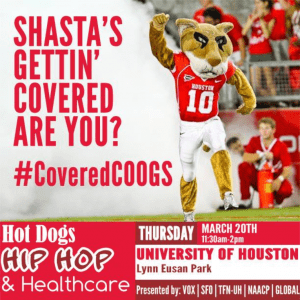 Previous articles in the Texas Health Scare Series: The Silent Majority, What’s Our Alternative?, MediCaid or CrisisCaid?, and Why Medicaid Matters. Finally the long wait is over. 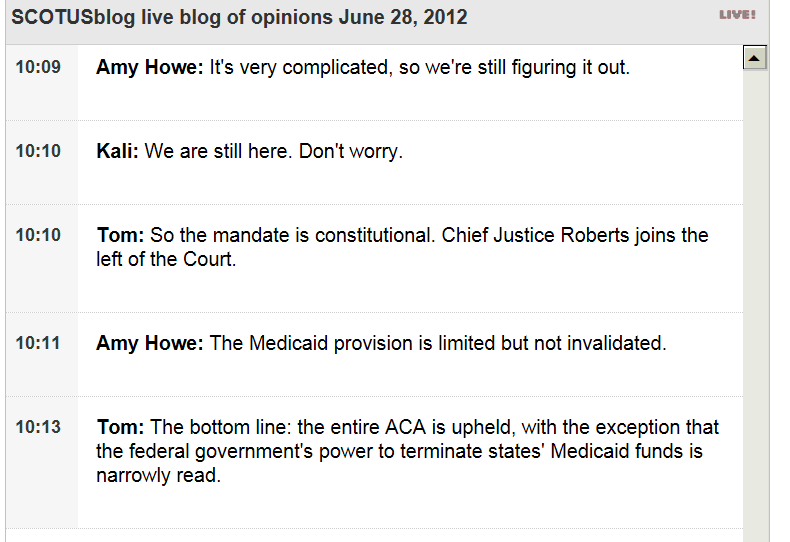 Per SCOTUSblog, the Supreme Court has ruled the Affordable Care Act CONSTITUTIONAL by a 5-4 vote. The Healthcare law remains mostly intact. 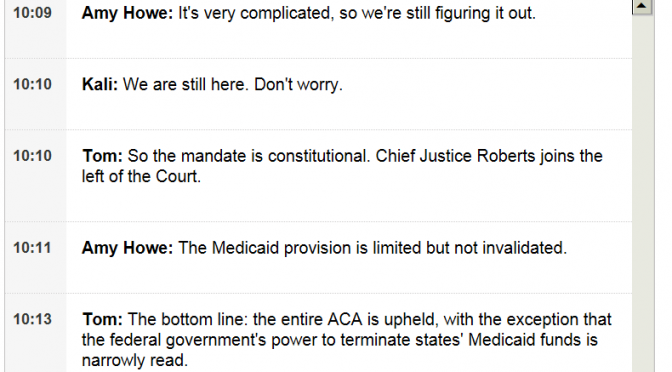 However the court did not agree with the right of Congress to control Medicaid expansion. It allows states to “opt out” if they do not wish to participate in the expansion, while still retaining their current levels of funding without penalty. That’s the only major provision of the law that wasn’t upheld. Here is the link to the full opinion.